Praděd is a mountain in the Hrubý Jeseník range, on the border of the Moravian-Silesian and Olomouc Regions. 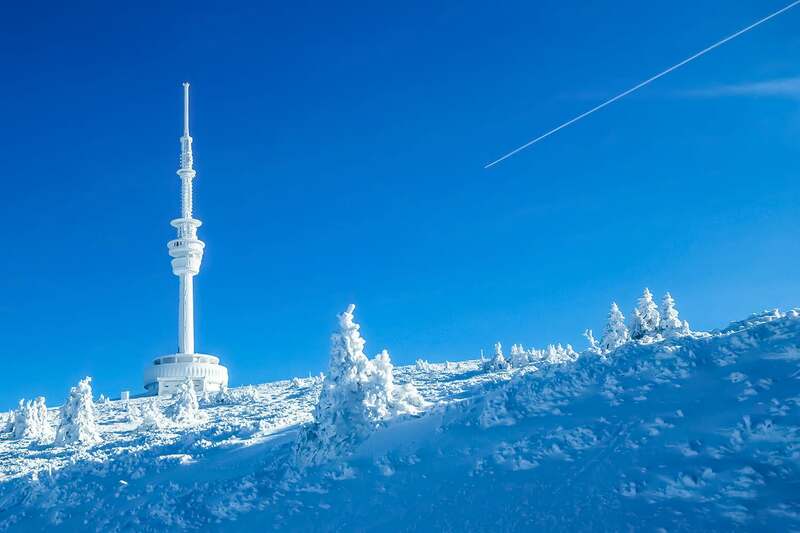 The mountain peak itself is situated in Czech Silesia and in the Moravian-Silesian Region. The border between Silesia and Moravia runs below the peak. 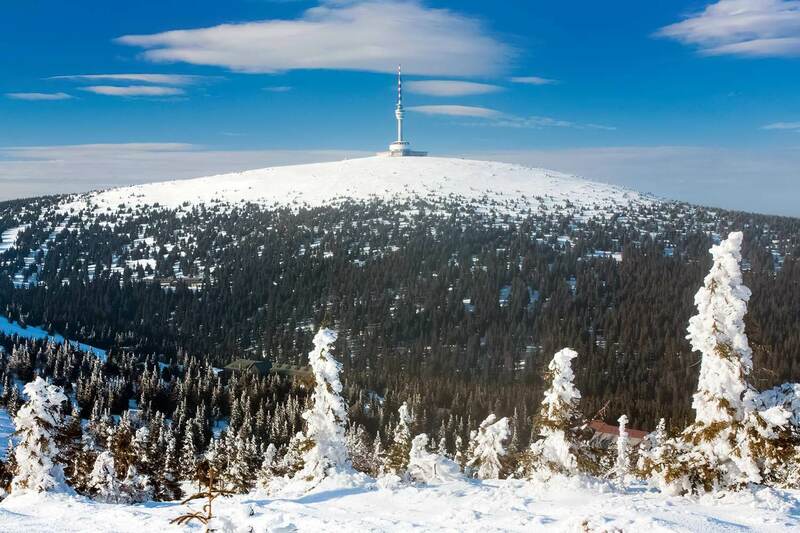 With its elevation of 1,491.3 m (4,893 ft) above sea level, it is the highest mountain in Czech Silesia and Moravia, and the fifth-highest in the whole of Czechia. The Polish name of the mountain is Pradziad, which is similar to the Czech one. The German version is Altvater. They all mean more or less: grandfather, forebear, ancestor in English. 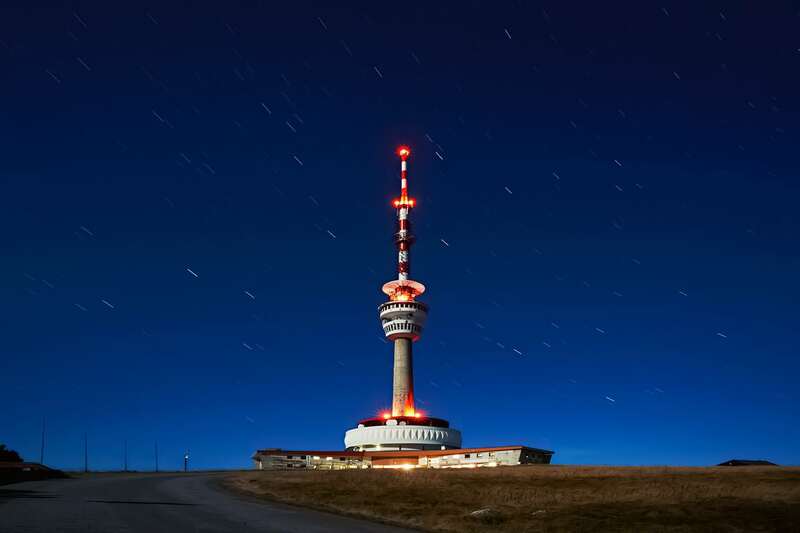 There is a 162 m (531.49 ft) tall broadcasting tower on the peak. The tower houses a small hotel and a restaurant. There is also an observation platform in the tower. Thanks to the tower, the silhouette of the mountain is very easily recognizable. When the visibility is good, Praděd can be seen from very faraway places, even from some locations in Poland. The nearest train stations are Vrbno pod Pradědem and Bruntál. Buses connect Bruntál, Jeseník, Olomouc and Rýmařov to Hvězda parking place (parkoviště Hvězda) near Karlova Studánka. There are several hotels and guesthouses within hiking distance of the peak. There is a parking place next to the TV tower for guests of the aforementioned hotel. Permission to arrive there by car and park there must be arranged in advance with the hotel. In the winter months access by car is possible only to Ovčárna. Above Ovčárna, snow levels are too high in the winter.